A charming new hotel is now open in the heart of Singapore’s historic Chinatown precint. Combining a fascinating European 1930’s styled facade with modern contemporary interiors, the Porcelain Hotel also features a signature spa – Huang Ah Ma, which has Eastern-inspired massage treatments. Unearthing Asia chatted with Ms Wendy Ho, the CEO of Mary Chia Holdings, the company that manages this new establishment. What travel, tourism and hospitality trends are you seeing in Singapore at the moment? Well the Integrated Resort has brought about a big change. Visitor arrivals has continued to trend upwards, and increased by almost 20% from 2009 to 2010. This is very noticeable in the boutique hotel industry, especially in ethnic areas like Little India and Chinatown. 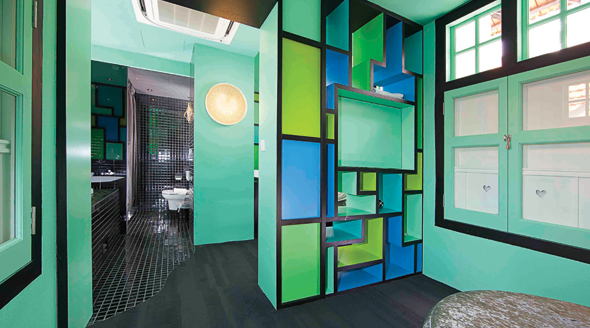 How do you feel Porcelain Hotel or Huang Ah Ma comes in and fill the need or trends in Singapore? Together with Porcelain Hotel, Huang Ah Ma meets the increasing consumer demand for more integrated, one-stop beauty and lifestyle solutions in a convenient location near major shopping and financial districts. The new wellness brand caters to an increasing number of travelers who enjoy wellness treatments, as well as address the increasing demand for quick getaways in Singapore by local consumers. How has the hospitality scene changed in Singapore over the last five years? Singapore has enjoyed a booming tourism industry in recent years. As a results, boutique hotels have enjoyed high occupancy rates. The niche is enjoying a revival in the under-200-rooms boutique hotel industry, with more and more new establishments opening in ethnic areas like Little India and Chinatown, as well as the outskirts of the CBD. How do you think the travel and tourism scene in Singapore differs from elsewhere in Asia? As Singapore is a leisure and business destination, we see a mixture of travelers at Porcelain Hotel, with 80% being leisure travelers. Most guests come from the Asia Pacific region, while the remaining 20% come from Europe and USA who chose Porcelain Hotel because of its significant Chinatown location. Asian guests, who are both business and leisure travelers, usually chose Porcelain Hotel because of its strategic location – about 5 minutes from the business district and in the heart of Chinatown’s shopping area. What do you think makes Singapore such a great tourist destination? Singapore is a dynamic city rich in contrast and color, where one can find a harmonious blend of culture, cuisine, arts and architecture. From exotic ethnic enclave to efficient business centre, from serene gardens to sleek skyscrapers, Singapore embodies the finest of both East and West. The diversity and variety of food representing different ethnicities can also be touted as one of the main reasons that make Singapore such a great tourist destination. What’s your favourite thing ?to do in Singapore? I enjoy walking in lush open spaces with my family and friends, so we can be close to nature. One of my favorite places is The Southern Ridges, which spans the hills of Mount Faber Park, Telok Blangah Hill Park and Kent ?Ridge Park. What makes Porcelain Hotel / ?Huang Ah Ma special? 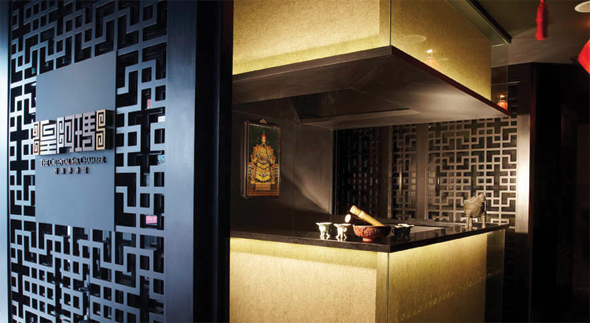 Porcelain Hotel is positioned as a beauty spa hotel with an integrated Oriental spa concept – Huang Ah Ma, located in the heart of Chinatown. Huang Ah Ma features a variety of traditional Chinese spa treatments, including Singapore’s first post-natal spa/hotel package where new mothers can spend their confinement period at the hotel while undergoing treatments. The boutique hotel combines a fascinating European 1930’s stayed façade with modern contemporary interiors and also features subtle Oriental touches and amenities including complimentary wireless internet access. Located in Singapore’s historic Chinatown precinct, the hotel is five minutes away from the business district. Guests are also able to visit tourist attractions surrounding the area including the Chinatown Heritage Centre and the Chinatown Night Market. Define Porcelain Hotel / Huang Ah Ma in 5 words. With the best car hire switzerland is waiting to be explored at your own pace. This is one of the most scenically beautiful countries in the world, you have to see it for yourself.